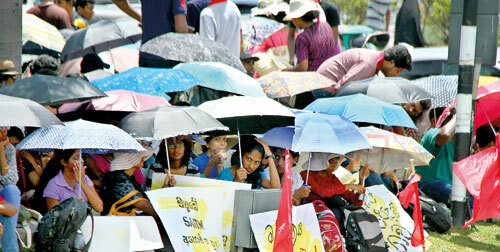 With the controversy surrounding the South Asian Institute of Technology and Medicine (SAITM) showing no signs of abating the Inter University Students’ Federation (IUSF) continued its protest campaign this week and members getting ready to instal themselves outside the University Grants Commission (UGC) in the coming days. With fresh protests planned for next week, security around Health Minister Rajitha Senaratne, who has been a key figure in the SAITM controversy, has been visibly increased. 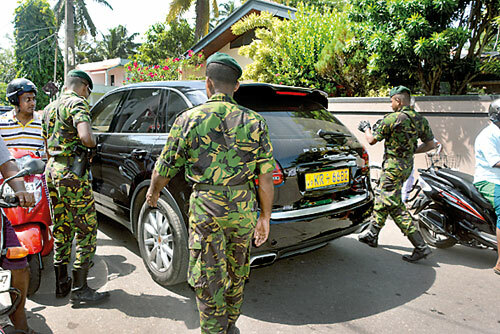 Teams of Special Task Force (STF) personnel have now been assigned for his protection, as seen in this photograph.